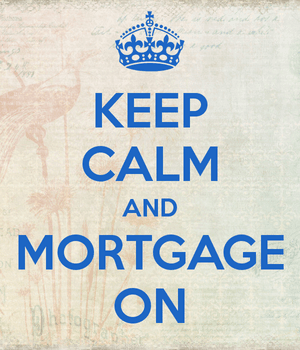 This seems to be a theme lately – super low or no down payment mortgages. The latest of these not-so-novel loan programs comes courtesy of Chicago-based bank Guaranteed Rate. The lender, which you may have heard of thanks to its commercials with crazy old Ty Pennington, is offering a 1% down payment home loan to Chicago area buyers. The loan is made possible via a partnership with the City of Chicago and Chicago Infrastructure Trust (CIT), and is designed to tackle one of the major hurdles to homeownership, the hefty down payment requirement. It appears to be open to all Chicago-area lenders, but hometown bank Guaranteed Rate is the first to officially launch the program. The so-called “Chicago Home Buyer Assistance Program” allows both existing and prospective homeowners to take advantage of a low down payment mortgage via the use of a grant that doesn’t need to be paid back. The City of Chicago will provide home buyers with a forgivable grant, for up to seven percent of the final loan amount. The borrower must simply come up with 1% of the purchase price, or $1,000, whichever is lower. It’s unclear if reserves are also required, but if not, it means individuals can buy a home with just $1,000 in the bank. Pretty sweet deal. It’s open to first-time home buyers and existing ones looking to move up or even downsize. And current owners can use it to refinance an existing loan. You can purchase a home or a condo (up to four units), but you must reside in the property to be eligible. No second homes or investment properties. Oh, and you must reside there for a while to get the grant completely forgiven. The catch to this seemingly favorable loan program is that you must reside in the property for a minimum of five years to get the down payment grant forgiven. It’s basically a hard prepayment penalty. During that time, you must also make on-time mortgage payments in order to extinguish the grant. If you move or refinance before that time, the grant will be forgiven on a prorated basis. Put another way, you’ll be on the hook for the remaining amount of the grant if you don’t fulfill the tenancy requirement. After all, the point of programs like this is to help more folks realize the dream of homeownership, not allow them to flip their home in six months for a profit. Borrowers utilizing the program must also purchase a property within the city limits of Chicago. The good news is the income limit is pretty liberal, allowing for annual income as high as $133,000, regardless of family size. So most individuals looking to buy a home in Chicago should be eligible for the program. What I don’t know is how low the mortgage rates are, or if mortgage insurance is required. Even if it’s not, it will be built into the interest rate. I would expect rates to be higher than those found elsewhere, such as via the FHA or via the conventional route with a higher down payment. If you’re interested in this program, you may want to compare it to the Fannie 97 program as well if you’re able to muster 3% down – the rates may be lower and you don’t have to stick around for five years.